If you are looking to add aesthetic interest and professional function to your workout space, York Barbell is your one stop shop. The York Pro Style Fixed Barbells and the corresponding ETS Fixed Straight and Curl Barbell rack will prove that you can get both raw power and beauty in the same equipment. York adopted its Pro Style Dumbbell head design and applied it to the Pro Style Fixed Straight and Curl Barbells. The barbell heads are comprised of solid steel inserts fully encased in rubber. The solid steel handle passes through the steel insert and is welded, permanently joining the head to the bar. The thick rubber coating on the heads increases durability, protects equipment, enhances appearance, diminishes noise, and is easy to clean. The Pro Style Fixed Barbells are available both individually and in pre-made sets, with straight bars or curl bars ready for display and use. 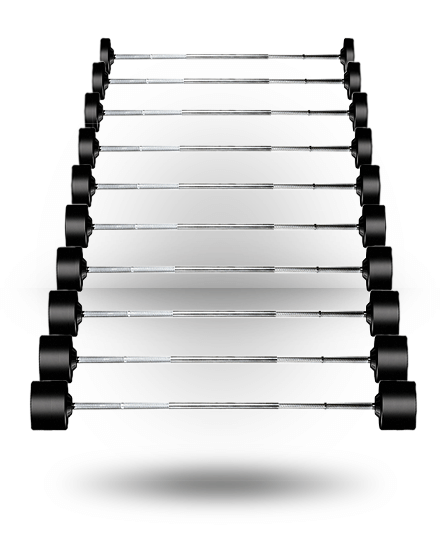 The York ETS Fixed Straight and Curl Barbell rack is as attractive as it is functional. The curved tubing and sturdy legs provide a high level of stability and ease of use. This storage rack is just as handsome as the York Pro Style Fixed Barbells that it will showcase. 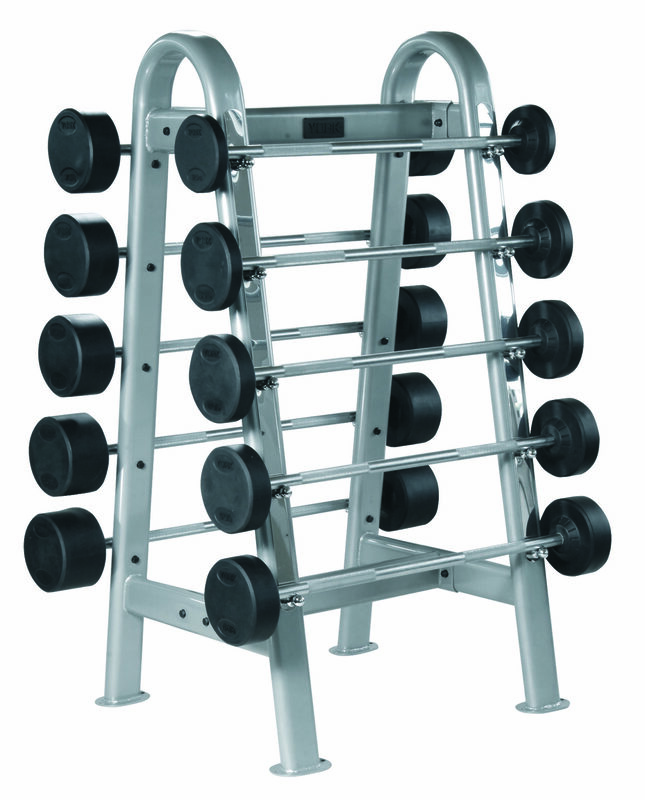 This rack holds 10 Barbells and is double sided for easy loading and unloading. 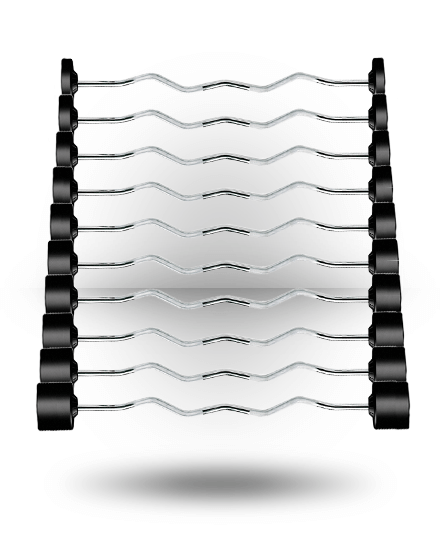 This rack can be used with both the Straight Pro Style Fixed Barbells and the Curl Pro Style Fixed Barbells. Finding equipment that looks as good as it feels is no longer a fantasy with the York Pro Style Fixed Barbell line. These handsome barbells are built to last and are offered in a variety of commonly used sizes. They sit securely on the pegs of the ETS Fixed Barbell rack, which complements the elegant styling of the Fixed Barbells. Put a little Beauty in your beast today! For more information about our Fixed Barbells & Barbell Sets or other York Barbell Gym Equipment, please contact us today!